The gas tax isn’t perfect, but it still has a lot of strengths. 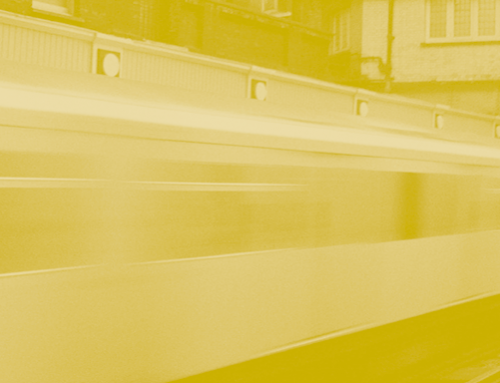 Suppose we could design the ideal transportation system from scratch and could pay for it with the most efficient, equitable, flexible, and predictable finance instrument. What kind of finance instrument should we choose? Economists say we should rely principally on user fees. User fees encourage efficient use of the transportation system by making clear the relationship between transportation costs and transportation benefits, which allows users to make informed decisions. 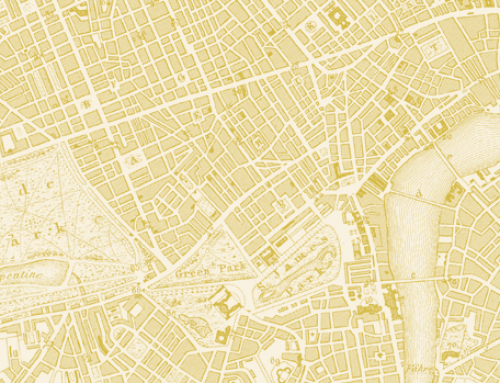 Other instruments, by contrast, remove price signals from a traveler’s decision-making, which can lead to inefficient mismatches between supply and demand for transportation. Furthermore, finance instruments not based on user fees may be unfair because individuals who don’t use the transportation system are required to subsidize those who do. As a matter of fact, we already have a user fee that fares pretty well against these criteria. We’ve been using it for more than eighty years—it’s the gasoline tax. But, despite its many merits, this tax has few friends. The gasoline tax is the centerpiece of our transportation finance system, but we have recently been moving away from it. Some academics charge the tax is fl wed. They note that fuel consumption is only partially related to the costs a vehicle imposes on the transportation system. They call for theoretically more ideal—but currently politically unacceptable—user fees, such as congestion pricing. Politicians appear to be abandoning the gasoline tax precisely because it is a user fee. They shy away from increasing gas tax rates except in rare periods of extreme fiscal crisis. Instead, they embrace nonuser taxes, such as sales taxes, that hide the cost of maintaining the transportation system in the prices of a wide array of goods and services, in an attempt to minimize political opposition to any tax increase. The voters approve sales tax increases because they seem small, whereas even modest gas tax increases seem quite large. Most voters have yet to recognize that a one-half percent sales tax increase—the most frequently requested tax increase—is the same as an increase of more than fifteen cents per gallon in the gasoline tax. Politicians give the voters what they seem to prefer. And when gasoline prices soar, many politicians call for reducing the gas tax—a politically popular move that reveals ignorance of or disdain for the tax’s original purpose. We seem to be moving towards a less ideal transportation finance system than the one we already have, so this may be a good time to recall why we have the gasoline tax. By reviewing its origins, perhaps we can see the way to develop an equitable and efficient successor. 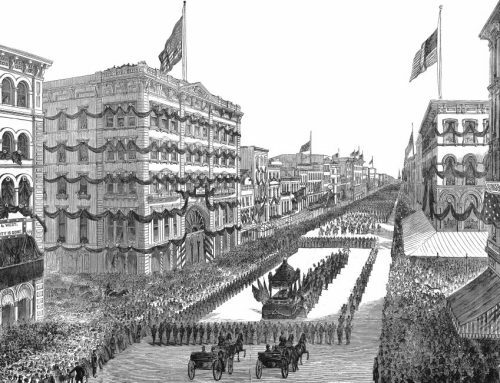 Before the gasoline tax, property taxes and bonds formed the cornerstones of American transportation finance. 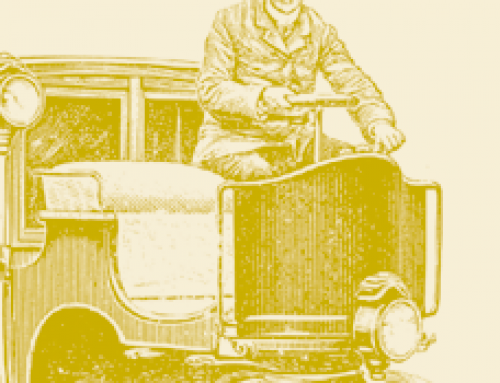 These instruments performed reasonably well in the pre-automobile era, but they proved unable to cope with the explosion in automobile use during the 1910s and the inevitable demands of motorists for better roads. Property tax revenues, used for many government purposes, were stretched too thin, and property owners balked at raising tax rates to finance road upgrades. The heavy debt loads and large interest payments associated with bonds limited their use, and states were loath to issue more forty-year bonds for roads that would require major reconstruction only a few years after they were built. Highway-related expenses put a major strain on state budgets. In 1922, 44 percent of California state government expenditures went to highway construction and maintenance or the repayment of highway bonds. The imposition of a user fee to help finance roads was a logical response to the crisis. The gasoline tax was chosen, first because it was an effective means of assessing motorists for their use of highways. Gasoline consumption correlates with miles traveled, vehicle weight, and vehicle speed, and the cost of roads was known at the time to be a function of these factors. Alternatives, such as fees for vehicle-miles traveled or ton-miles traveled—more direct measures of road use—were not feasible because of technological and administrative limitations at the time. The gasoline tax also applied to everyone who bought gasoline in an area, including out-of-state motorists. In the Rocky Mountain region, out-of-state motorists accounted for as much as half of all automobile travel. Second, the gasoline tax raised a lot of money. In 1932, in the depths of the Great Depression, the gasoline tax produced just over $513 million ($6.3 billion in 2001 dollars) for the 48 states and the District of Columbia. Third, because it was collected from gasoline distributors rather than from retail outlets or individual motorists, the cost of administering the tax was quite low. In California, the early administrative cost averaged less than 0.4 percent of tax proceeds. Fourth, the gasoline tax provided political cover for nervous legislators. Distributors who paid the tax knew how much it cost but retailers and motorists often did not, because it was hidden in the price of gasoline. Legislators thus enjoyed a degree of protection from consumers. Motorists paid the tax a few pennies at a time. While the cost added up over time, this feature reduced motorists’ hostility towards the tax. Finally, the gasoline tax was politically popular. The petroleum industry, construction industry, automobile industry, and motorists embraced the tax because of its direct link to better roads. The tax brought motorists direct benefit for their taxpaying pain. Oregon adopted the first American gasoline tax in 1919, followed within two months by New Mexico and Colorado. California adopted its own gasoline tax in 1923 after a long campaign by the automobile clubs and legislators. Between 1919 and 1929, all 48 states and the District of Columbia adopted gasoline taxes. Rarely has a tax been universally accepted in so short a time. Automobile clubs were major advocates for gasoline taxes. 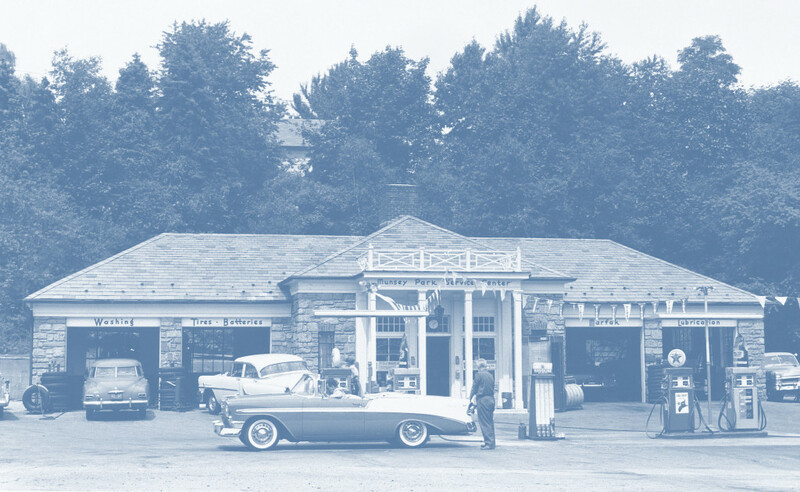 They led the drive for a tax in Oregon and California, and the national Good Roads Convention championed a variety of gasoline tax proposals during the early 1920s. The automobile industry supported the tax because industry leaders knew that better roads would lead to increased automobile sales. The petroleum industry was directly affected by the gasoline tax, and it was divided over it. Most companies supported moderate gasoline taxes, because better roads meant more cars and a larger market for industry products. But the industry was concerned that the trend was toward ever higher tax rates. During the 1920s, there were more than eighty successful efforts to impose or raise gasoline taxes and only twelve successful efforts to reduce them. 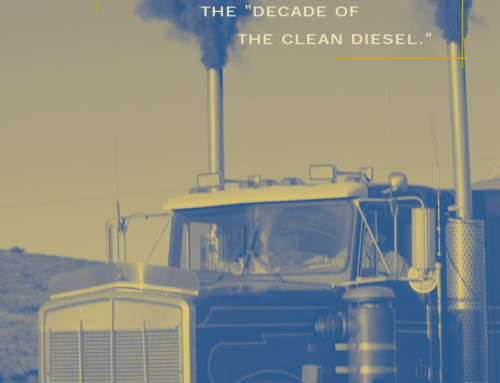 Industry leaders believed that every one-cent increase in the tax reduced gasoline consumption by five percent, and they foresaw a day in the future when a twenty-cent-per-gallon gasoline tax might mean an end to the use of gasoline as a motor fuel. 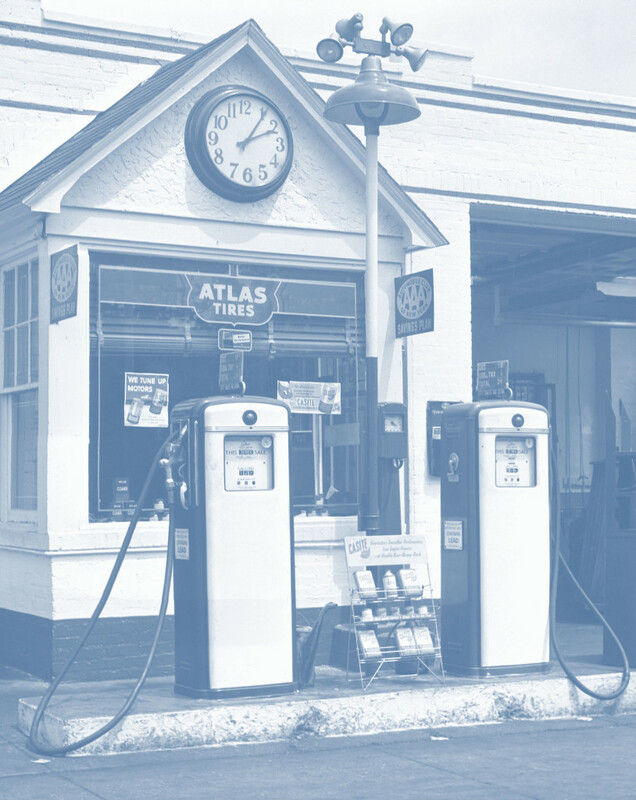 Still, as late as 1928, The Filling Station, a leading industry publication, observed that the use of gasoline-tax revenues for new roads produced net benefits for the industry as a whole. In contrast, the editors of Petroleum World claimed the gasoline tax was nothing short of a socialist attempt to strangle American capitalism. A few industry executives persuaded business groups to join them in an attempt to stop gasoline-tax proposals. But their efforts were undercut by public skepticism in the wake of the Teapot Dome scandal and congressional investigations into industry price-fixing schemes. Politicians like Huey P. Long of Louisiana became household names exploiting popular hostility toward the petroleum industry. Standard Oil also pioneered the soon universal practice of prominently posting the tax rate on pumps in its service stations. Throughout the middle and late 1920s, Standard Oil officials were highly visible in Sacramento and other state capitals pressing upon legislators the dangers of higher gasoline taxes. The rest of the petroleum industry was not as concerned until the onset of the Depression, when rough financial times made industry officials view the ever increasing gasoline taxes with genuine alarm. Some officials began to feel that gasoline tax advocates had taken advantage of them. The gasoline tax remained a popular user fee as long as the proceeds funded highway construction and maintenance. But then legislators and interest groups began to covet gasoline tax revenues for other uses. In 1922, the Oregon Legislature proposed using a one-cent-per-gallon increase in the gasoline tax to finance a world’s fair. The Oregon State Motor Association rallied its members to defeat this proposal by one vote in the legislature. In 1924, the California Legislature attempted to raise the gasoline tax to increase county highway aid and reduce county property taxes. Standard Oil helped to defeat this proposal (although a similar proposal succeeded in 1927). 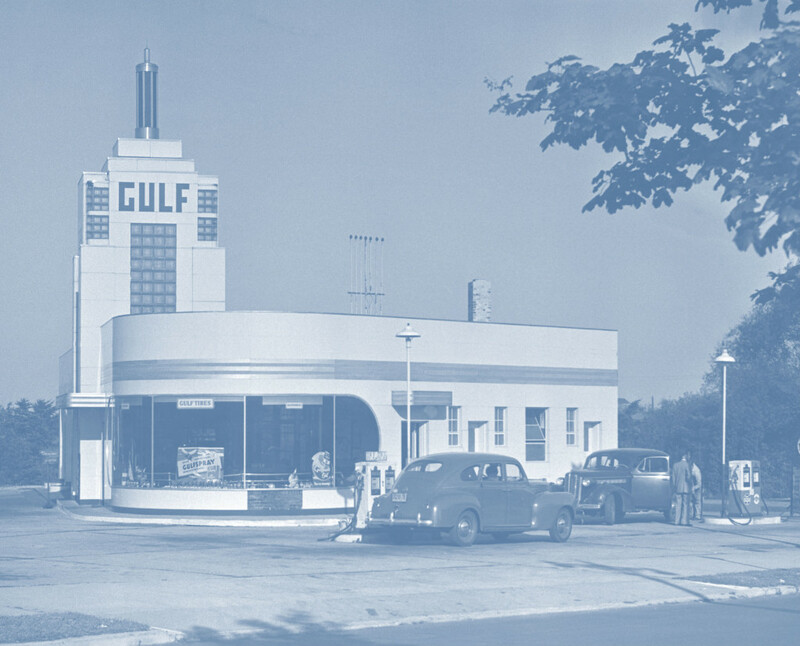 The petroleum industry mounted major public relations offensives against future gas tax increases, and it sought alliances with the automobile clubs. Auto clubs were fuming because all gasoline tax proceeds were not being used to build more roads; hence, they argued the tax had ceased to be a fair highway user levy. The clubs not only opposed future tax hikes but also began to fight for tax decreases and for adoption of state constitutional amendments to prohibit diversion. The first such amendments were enacted in Minnesota (1923), Kansas (1927), and Missouri (1928). The anti-diversion campaign achieved notable success everywhere except in southern states—Georgia, Texas, and Louisiana—where diversion became an accepted practice. Both Georgia and Louisiana diverted gas tax revenues for general-revenue purposes, while Texas was constitutionally required to use 25 percent of all excise tax revenues, including those from gasoline taxes, to support public education. The first notable successes in the campaign against higher gasoline taxes came in 1932 when voters in Arizona, Maine, New York, and North Dakota defeated proposed tax increases. That same year, automobile clubs and the petroleum industry blocked efforts in Pennsylvania, California, and New Jersey to divert gasoline tax revenues to the states’ general funds. Gasoline tax increases were fewer in number in the 1930s than in the 1920s, but the proliferation of anti-diversion amendments reflected widespread public support for tying gasoline tax revenues to road construction and maintenance. Implicit linkage between the tax and highways became explicit with the creation of state highway trust funds. And even the federal gasoline tax, originally enacted in 1932 for simple revenue-producing reasons, became linked to the size of the federal-aid highway program by the 1940s. The gasoline tax was invented as a user fee whose purpose is to raise money for roads. Many politicians and the general public seem to have lost sight of these facts. The gasoline tax is now lumped together with all the other unpopular taxes. The challenge for policy makers is to restore the connection in the public’s mind between the tax and the roads they provide, and to reassert the gasoline tax’s original rationale as a user fee. Transportation academics recognize the strengths of user fees as being fair and efficient, but they also emphasize that some user fees are better than others. All else being equal, direct user charges, such as tolls, are preferable to indirect charges, such as gasoline taxes. The gasoline tax is not perfect, and its imperfections have been chronicled in hundreds of articles and reports. But it also has strengths. Albeit crudely, it relates taxes paid to costs imposed on the highway. We might complain that the tax rates are too low or too high, but this is a weakness of policy and not of the instrument itself. The gasoline tax also raises a lot of money and requires tiny expenditures for administration and collection. There are no technological or administrative impediments to its use, and it has a history of acceptance and success. 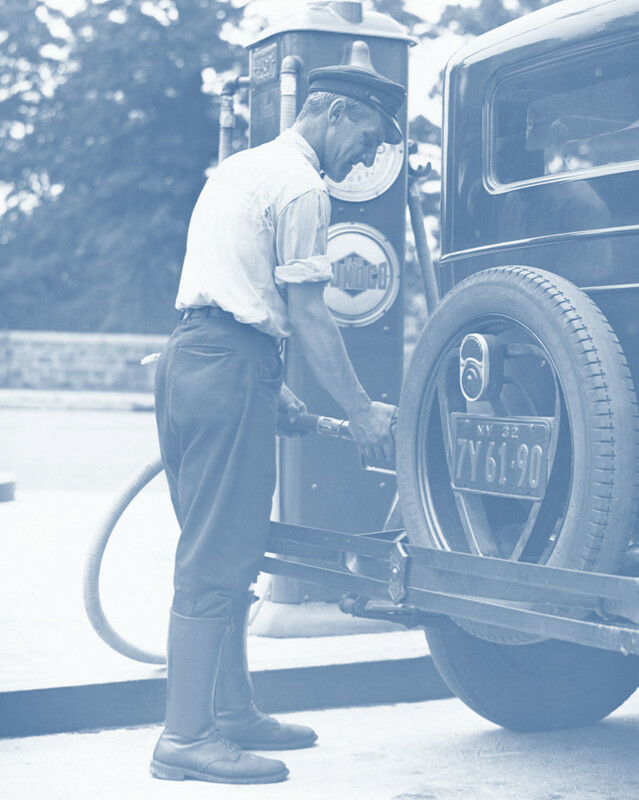 The gasoline tax was a brilliant innovation eighty years ago, and it still works today. The development of alternative-fuel vehicles poses a challenge to transportation finance, and we will eventually need to develop a successor to the gasoline tax. We will then face a choice between user fees or taxes based on something else. Nonuser-based taxes like sales taxes seem an easy way out of this dilemma, because the public seems to have accepted them; but they do not relate directly to highway use and are therefore not necessarily paid by those who use the roads. Political acceptability and revenue-raising ability, while important considerations, are their sole strengths. User fees, in contrast, are fair and efficient, they are paid only by their direct beneficiaries, and they have a proven track record. The gasoline tax’s successor should be some kind of user fee, perhaps even a direct road charge of some kind. Eventually we will develop this successor; meanwhile let’s not bury the gasoline tax prematurely in our haste to do so. Jeffrey Brown. 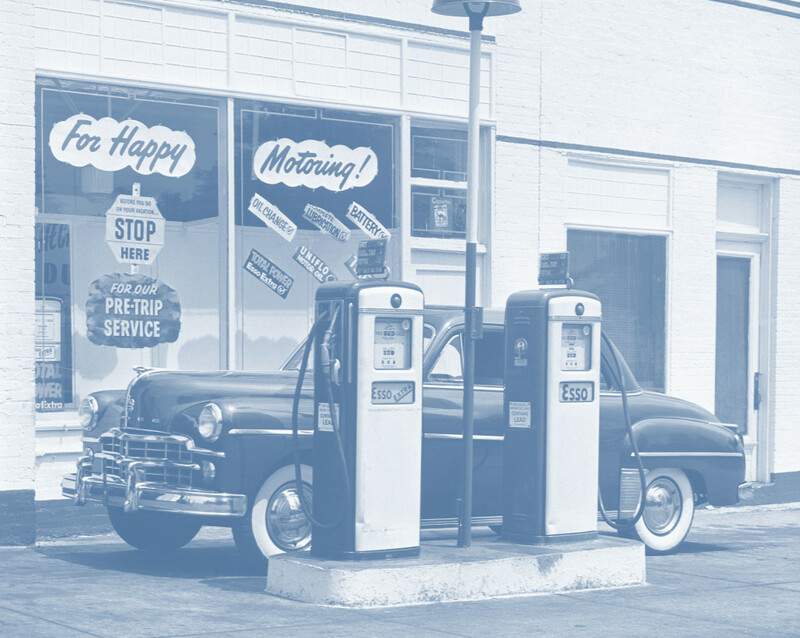 Trapped in the Past: The Gas Tax and Highway Finance. Unpublished master’s thesis. UCLA. 1998. Martin Wachs, and Asha Weinstein. The Future of California Highway Finance. California Policy Research Center, University of California: Berkeley. 1999. John C. Burnham. “The Gasoline Tax and the Automobile Revolution,” The Mississippi Valley Historical Review, vol. 48, no. 3, pp. 435–459. 1961. 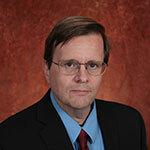 Jeffrey R. Brown is Associate Professor of Urban and Regional Planning at Florida State University (jbrown3@fsu.edu).